This is a superior quality, Best Badger Hair Travel Shaving Brush for daily use and or travel, you'll love this brush, soft on the face and it lathers up shaving soaps and creams easily. This is a serious brush suitable for daily use and travel and deserving of the Executive Shaving logo. The smart, rigid, nylon, zipped travel shell protects the brush when you're on the move. 96mm in length, traditional styling, high-grade hair, black coloured handle perfectly shaped and sized for lathering up. 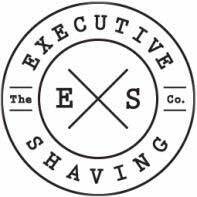 The Executive Shaving logos on the brush and travel shell are a guarantee of quality. Comes in a zip close sturdy travel shell to protect the brush when you're on the move. Use a couple of drops of warm water with a shaving cream or soap to create a rich lather and paint onto face. Once finished shaving, rinse the brush with warm water (NOT HOT) and flick excess water out, leave to aerate and dry naturally before storing in protective casing.